Automatic Blood Pressure Monitor with Extra Large Cuff, the only Blood Pressure Monitor in the world with a cuff suitable for people with arms larger than 45 cm in diameter. 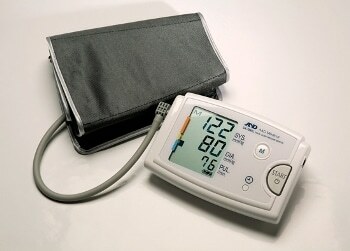 A&D offers the UA-789XL, a unique blood pressure monitor. This monitor was designed for patients with large arms who have never been able to take BP measurements at home. The extra large cuff can handle arm circumferences of 42 cm to 60 cm! A&D works with medical communities around the globe and provides various types of BP monitors to meet the many needs of society, from home to hospitals. Recent increases in obesity in modern countries have presented serious problems for medical communities. Many obese patients suffer from CVD related symptoms and they need to monitor their BP level.However, these patients have never had a BP monitor suitable for home use, simply because their arm sizes have been too large for the cuffs. A&D has solved this issue with the UA-789XL, a BP monitor that can be used by patients with arm circumferences from 42 cm to 60 cm! Our improved design enables the monitor to work with the extra large cuff for accurate BP measurements. We believe the new UA-789XL will support the health of patients with large arms by providing simple BP monitoring at home.